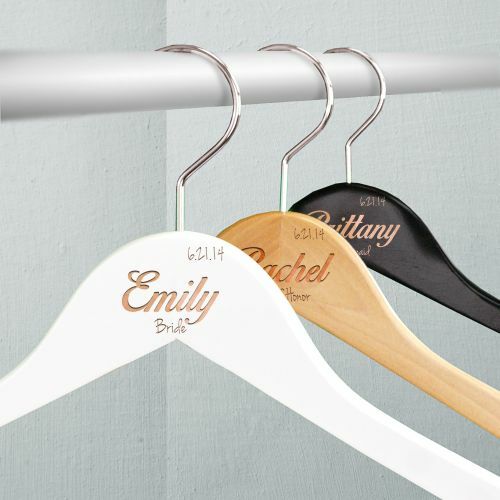 Make sure your bridesmaids have a personalized hanger to hang their beautiful dress on before your wedding day! Our bridal party hangers would make an excellent personalized gift for bridesmaids that they can use on your wedding day. 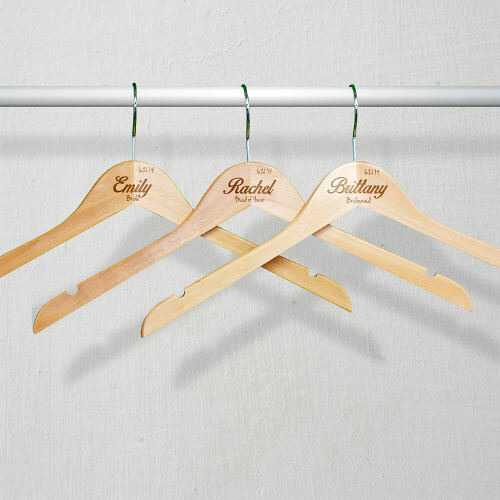 The ingenious design of this wooden hanger makes it a smart choice for hanging tops. It has slanted arms designed to be gentle on delicate fabrics. They have notched shoulders, perfect for hanging straps and security loops. The classic chrome swivel hook and hard satin gloss coat are top quality, designed to last you a lifetime. You will never have to deal with splintered wood or bent hooks again. The flat body design helps you to save space in your closet without sacrificing quality, style or strength. 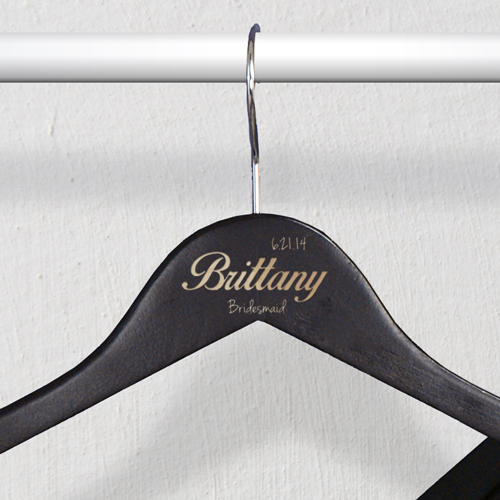 Hangers measure 17" and include free personalization. 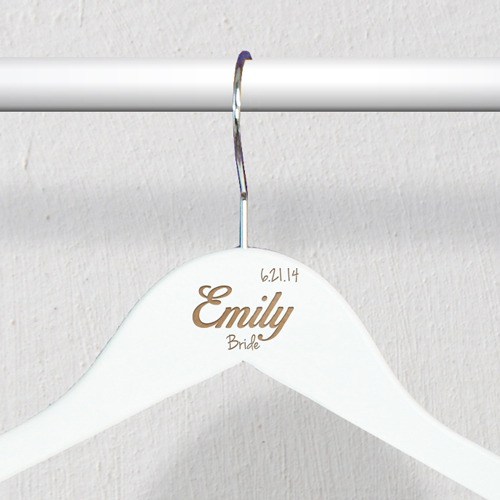 We will skillfully engrave your hanger with any name, date and title. You will never have to deal with splintered wood or bent hooks again. Giving these to the bride and groom! What a novel gift! These turned out great! I'm extremely happy with them!! A lot of other places I looked needed 2+ weeks to get these done and shipped. I got these in a week. I ordered two of these, one for me (Bride) and one for the flower girl. We both loved them and they looked great in the pictures! Additional Details Our bridal party hangers would make excellent bridesmaid gift options for your girls! Not only can they use them to hang their dresses on your wedding day, but they can keep it as a memory of their role in your wedding. Our Embroidered Chevron Cosmetic Bag is another great gift option for your bridesmaids.